Agriculture isn’t the easiest way to make a living. Starting with something as elemental as the weather, the entire enterprise is fraught with uncertainty and risk. Even when things go smoothly, it requires long hours of hard work, a flair for creativity and a keen business sense. Women face even more obstacles, including many rooted in centuries of culture and tradition. But things are changing. As women continue to move into trades and professions of all kinds, they’re also coming into their own as a force in agriculture. And agriculture is better for it. That’s been happening in Lee County for years. It began with women emerging as leaders in agricultural education and on family farms. But it expanded as local women became successful business owners, statewide industry executives and influential political leaders. Zack Taylor, an Agricultural Extension Agent in Lee County for N.C. 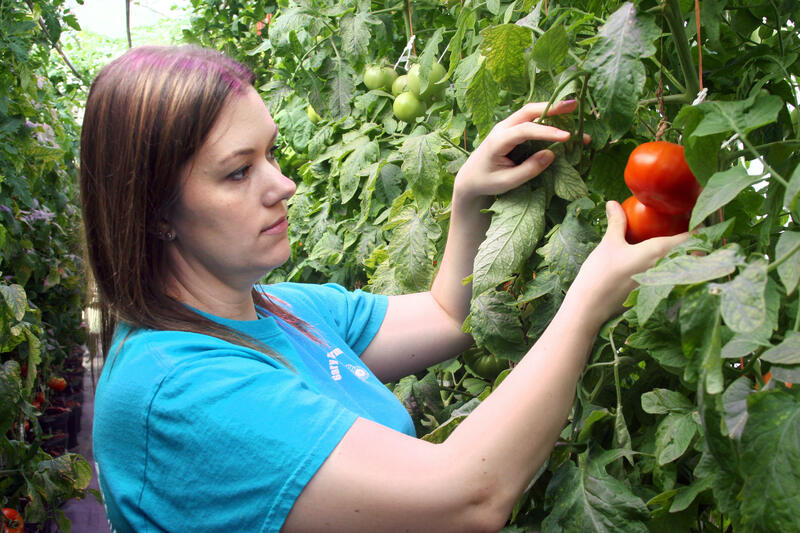 Cooperative Extension, believes local women have been in the forefront of a national trend that has added more diverse experience to the agricultural community and local economy. While some grew up on the family farm or are just out of college, others have entered agriculture as a second career, bringing new perspectives into a very traditional business. As more women enter agriculture — bringing with them new enthusiasm and perspectives — they will surely reshape the landscape. Exactly how is still up for discussion, but Minda Daughtry, one of those successful women in agriculture, has some ideas. The Lee County Agricultural Agent specializing in horticulture sees a growing focus on education. Not only in schools, but in how farmers and agriculture professionals explain the complicated business of farming to people with little connection to the farm and help consumers learn more about their food. Then, she said, there are emerging approaches to leadership that place more emphasis on collaboration. The key, Daughtry says, is to pave the way for more women to enter agriculture and help them achieve success. But how do you do that? It’s a question that keeps Daughtry and Lee County Extension Director Bill Stone thinking. Stone believes N.C. Cooperative Extension, a statewide organization that works to strengthen agriculture and support farmers and producers, will play a vital role. He can see new educational programs created to provide needed information and skills, especially for women entering agriculture as a second career. Or maybe building a network, so women can develop new contacts quickly, collaborate on projects and share their expertise. One thing is sure: Women will be expanding their impact for years to come. • Would You Like to Be a Wildlife Professional?